term come up quite often: bitcoin. Bitcoin is a form of currency, just like the Dollar, the Yen or the Euro. The biggest difference between bitcoin and other types of currencies is that bitcoins exist purely in the digital realm. Bitcoins can be used to pay for just about anything, as long as a merchant accepts it as a form of payment. Aside from receiving bitcoins as payment, bitcoins can also be created via a unique process called bitcoin mining. Unlike credit cards, whose records of transactions are kept by banks, a network of computers record bitcoin transactions in a universal ledger called a block chain via a complex series of algorithms, with the ones who successfully “mine” the block chain receiving new bitcoins for their efforts. One thing to note about attempting to mine bitcoins is that it takes very powerful computers to be able to compete with other miners. For those who don’t have the necessary hardware to mine, bitcoins can be acquired from bitcoin exchanges, which are similar to stock exchanges or the forex market. Where do you keep bitcoin? Since bitcoin is a digital currency, you can’t really fold them and stuff them in your pocket. 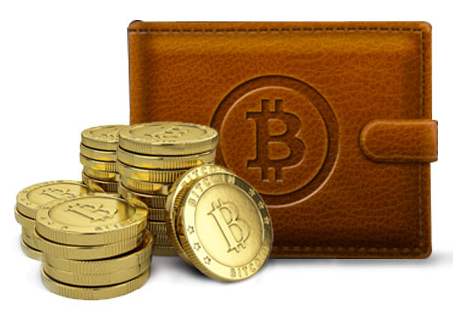 What you CAN do however, is download a virtual wallet application that conveniently stores all your bitcoins for you. You’re probably thinking that merchants who accept bitcoin as valid currencies are small tech startups or shady websites that sell everything from video game accounts to second hand cars. While that may be true, here’s a list of some other companies that accept bitcoin as payment: Amazon, Subway, Zynga, Bing, Bloomberg, the Sacramento Kings, Home Depot, Kmart and Wikipedia – just to name a few. So yes, bitcoin is accepted by quite a number of established companies, including some of the largest retailers in the world. It’s hard to predict how bitcoin will grow in the next few years. Detractors will call it a fad that has the drawbacks of being both unregulated and hackable, while supporters will point out the convenience and potential of a digital currency not tied to middlemen and third party fees. What does this mean for Filipinos? As of now? Not much. The concept of a digital currency is a very abstract concept in a country where e-commerce is still very much in its infancy. We Filipinos can be slow to adjust to current technological trends that don’t involve social media which, when combined with our lack of the necessary support infrastructure, makes it an uphill battle for bitcoin acceptance among local merchants. On the other hand, while bitcoin as an actual currency might not be relevant to the local market just yet, there are still ways that Filipinos can get involved with bitcoins – specifically through online exchanges, where some companies treat bitcoin similar to commodities like gold or oil. Whatever the case, it’s a good idea to keep up to date on what’s happening with bitcoins, since there’s always the possibility that it might become a mainstream form of currency in the near future. Technology moves fast and it always pays to be aware.